Though his name will be forever linked with Casablanca (and failing that, White Christmas), the prolific Michael Curtiz amassed nearly 200 directing credits during a career that lasted five decades. 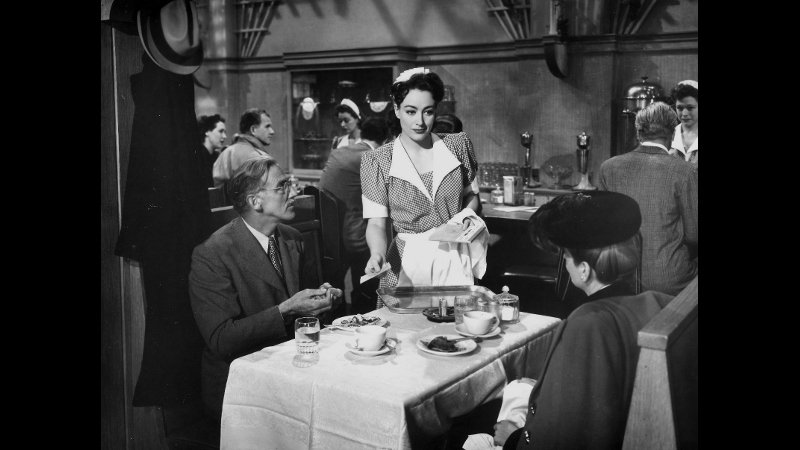 One of his many highlights is Mildred Pierce (1945): considered a comeback film for Joan Crawford after a string of box-office disappointments, it's a true "total package" film with almost no dead weight and plenty of talent involved. Based on the 1941 novel by James Cain (The Postman Always Rings Twice, Double Indemnity), this adaptation took a few creative liberties with the source material and still produced a film that would have likely shocked Hays Code audiences; one in which a decidedly imperfect lead character looks practically angelic in comparison to just about everyone else. From its opening moments, Mildred Pierce is a cracking murder mystery with intrigue to spare: Mildred (Crawford, Johnny Guitar) seems a likely suspect when second husband Monte Beragon (Zachary Scott, The Southerner) is shot dead at their beach house, his last word a Rosebud-like utterance of her name. 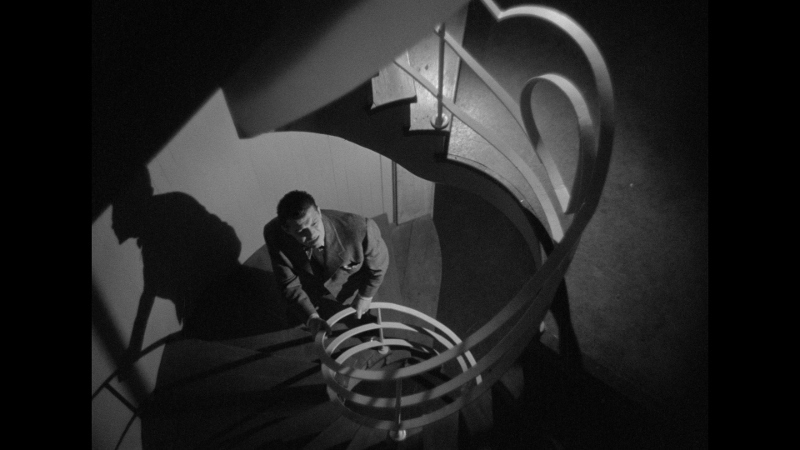 After what appears to be a near suicide attempt and meeting with long-time admirer Wally Fay (Jack Carson, Arsenic & Old Lace), Mildred is confronted by authorities when Monte's body is found. Yet the police, led by Inspector Peterson (Moroni Olsen, Notorious), suspect her first husband Bert Pierce (Bruce Bennett, The Treasure of the Sierra Madre) of the murder and, before long, Mildred shares how domestic bliss unraveled at the seams: her young marriage to Bert and their eventual separation, the unwarranted advances of Bert's former partner Wally, and toughing it out as a single mom to selfish teenager Veda (Ann Blyth, Mr. Peabody and the Mermaid) and ten year-old Kay (Jo Ann Marlowe). As Mildred Pierce spirals downward for our title character, the tragedies (and spoilers) pile up: sweet and tomboyish Kay dies from pneumonia and, even worse, the nightmarish Veda doesn't catch it. Instead, the spoiled young socialite turns on Mildred at every possible moment: from an ungrateful attitude towards gifts to her disapproval of mom's new job as a waitress, she's every parent's worst fears come to life (although it could be argued that Mildred enables a lot of this behavior). Yet Mildred's determination to win her daughter's approval and succeed in life is enough fuel for a path to success: she eventually starts her own successful restaurant after buying property from future murder victim Monte...with the help of Wally, who is more than willing to bend rules and close the deal quickly. With friends and family members like these, who needs enemies? Mildred Pierce deftly combines soapy melodrama, classic whodunit, and post-WWII "American Dream" saga in a way that might crumble in the hands of a lesser director, cast, or crew...and on paper, the heaps of personal tragedy and mustache-twirling levels of villainy should make it more of a guilty pleasure than a genuine classic of Golden Age Hollywood. Truth be told, I didn't even care for it much during my first viewing almost 15 years ago, as I was unable to get over the film's punishing plot developments; it just felt manipulative for the wrong reasons. Yet like its title character, Mildred Pierce perseveres despite its campier elements: this is due in no small part to its lead and supporting performances, which extended far beyond Joan Crawford's Oscar-winning turn as Mildred. Jack Carson impresses as her dubious admirer and real estate whiz Wally Fay, Bruce Bennett and Zachary Scott are great as Mildred's substantially different first and second husbands, while the reliably good Eve Arden steals many a scene as her outspoken supervisor (and eventual employee) Ida Corwin. Yet Ann Blyth deserves all the credit in the world for portraying morally reprehensible Veda, especially so early in her career: she's an easy character to hate and likely led many viewers to reconsider the possibility of parenthood, yet Blyth walks the line between smug villain and vulnerable teenager with ease. She doesn't show many moments of outright humanity---compassion, kindness, or even regret---but that just makes the occasional and faint glimmers of hope stand out even more. As potent now as it likely was more than 70 years ago, Mildred Pierce earns yet another life on home video thanks to Criterion's terrific new Blu-ray; arriving more than a decade after Warner Bros.' 2003 DVD, it's an obvious upgrade in every department with highlights including a new 4K restoration and plenty of old and new supplements. 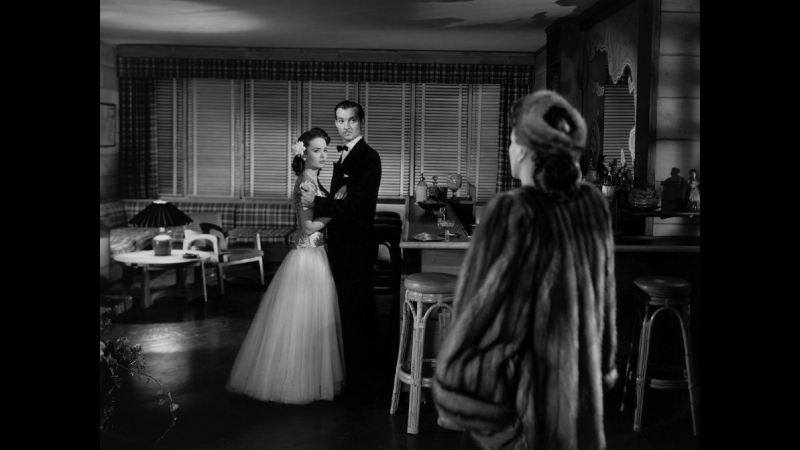 Presented in its original 1.33:1 aspect ratio, Mildred Pierce looks much more refined than Warners' 2003 DVD, which was impressive for its time. This 1080p transfer is the result of a new 4K restoration and, combined with the benefits of better encoding and format resolution, everything about these visuals is more impressive overall. Black levels are consistent, image detail and textures are quite good, and the film's light but noticeable grain structure is represented perfectly well from start to finish; the result is an extremely natural, clean, and crisp appearance. No obvious digital imperfections or heavy manipulation (including compression artifacts, interlacing, excessive noise reduction, etc.) could be spotted along the way, either. I simply can't imagine Mildred Pierce looking much better on home video than it does here, so die-hard fans of the film should be enormously pleased with Criterion's efforts. There's less to say about the PCM 1.0 track, aside from that it's perfectly adequate and sounds better than expected for a film that just passed its 70th birthday. Dialogue, Max Steiner's score, and background effects are relatively crisp and clear without fighting for attention, while the overall experience even manages to display a few moments of depth at times. Overall, this lossless mono presentation seems true to the source material and purists will enjoy the lack of surround gimmickry. Optional English subtitles are included during the main feature only. As usual, Criterion's interface is smooth and easy to navigate. This one-disc release is locked for Region A players; it's packaged in their typical "stocky" keepcase with moody cover artwork from the opening scene. The included Insert features notes about the new restoration and an essay by film critic Imogen Sara Smith. A lot of great supplements are on board here; though not all of them are film-specific, any fan of Crawford's career should enjoy every minute. A brand new Interview with film critics Molly Haskell and Robert Polito (23 minutes) finds the pair heaping praise on Mildred Pierce and Crawford's work in general, pointing out key themes, its translation from James Cain's source novel, ways in which the film holds up more than 70 years later, and much more. Definitely more of an fawning appreciation than a critical analysis, but plenty of interesting observations here. Three historical pieces are also included. A 1969 segment from The Today Show featuring James Cain (10 minutes) gives time to the respected author, as he discusses his source novel and its transition to the big screen. Hosted by Hugh Downs, this discussion is also steered towards social issues of the day and media's influence on its audience. Next up is a 1970 clip from The David Frost Show featuring actor Joan Crawford (15 minutes), in which the actress candidly speaks about her role in Mildred Pierce and other career highlights; like the Today Show clip, it's a valuable time capsule of network programming from what seems like an entire century ago. Last but not least is a much more recent Ann Blyth Q&A from 2006, hosted by film historian Eddie Muller at the Castro Theatre in San Francisco. Recorded after a particularly rowdy screening of Mildred Pierce, Blyth speaks about her participation in the film (although she admittedly hadn't seen it in several decades, and never on such a big screen). Carried over from Warner Bros.' 2003 DVD is the 85-minute, career-spanning TCM documentary Joan Crawford: The Ultimate Movie Star, plus the film's Theatrical Trailer. Overall, it's a predictably thorough and engaging collection of bonus features that, given the lack of a commentary, covers the basics as well as possible. 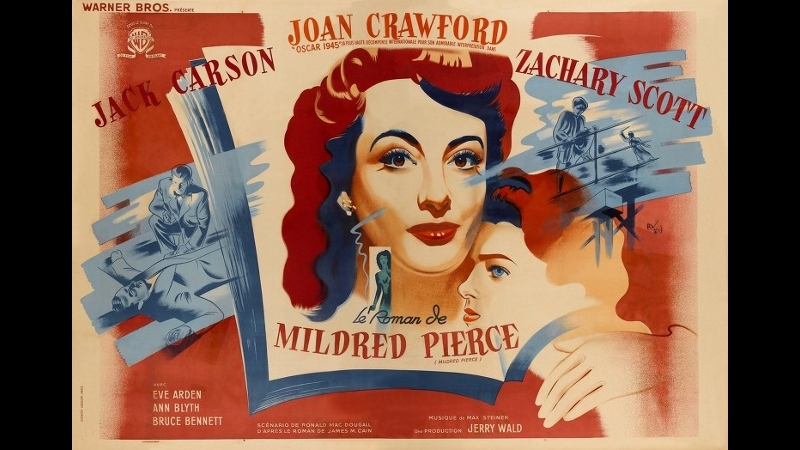 One of the most shattering mainstream dramas produced while the Hays Code was in effect, Michael Curtiz' Mildred Pierce remains one of his most enduring and effective films that isn't named Casablanca. 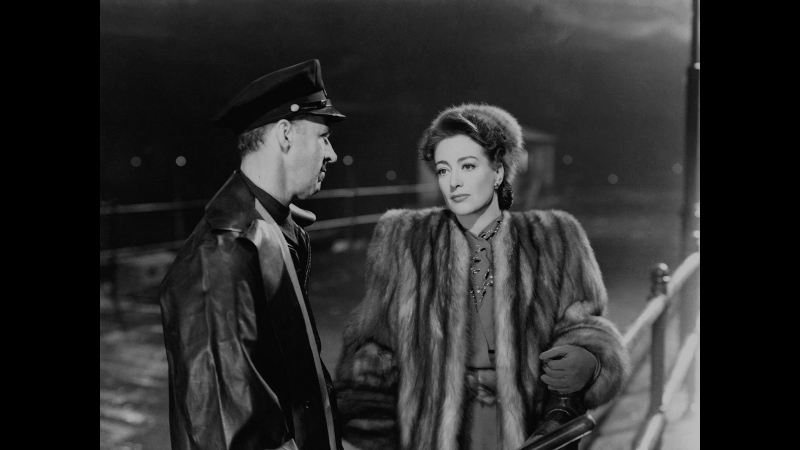 Joan Crawford's Academy Award-winning turn as our title character cemented her comeback after the "Box Office Poison" years, while standout supporting roles by the likes of Jack Carson, Ann Blythe, Zachary Scott, and Eve Arden aren't far behind. Also featuring a terrific score by Max Steiner and moody, memorable cinematography by Ernest Haller, it's a tightly-constructed adaptation of great source material---in this case, James Cain's 1941 novel---that plays out extraordinarily well on the screen. As usual, Criterion's Blu-ray provides plenty of support including a top-tier A/V presentation and a generous amount of mostly vintage bonus features. Highly Recommended for die-hard fans...but slightly less so for newcomers, as it's definitely a film that some audiences may not warm up to immediately.